The periods of company's prosperity correspond to world wars. 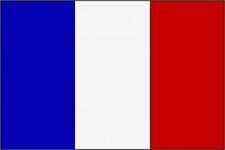 Thus, in 1914 the French Army took over the workshop to make blue uniform, in 1939 Paul Boyé got big "war order" for warfare type canvasing. 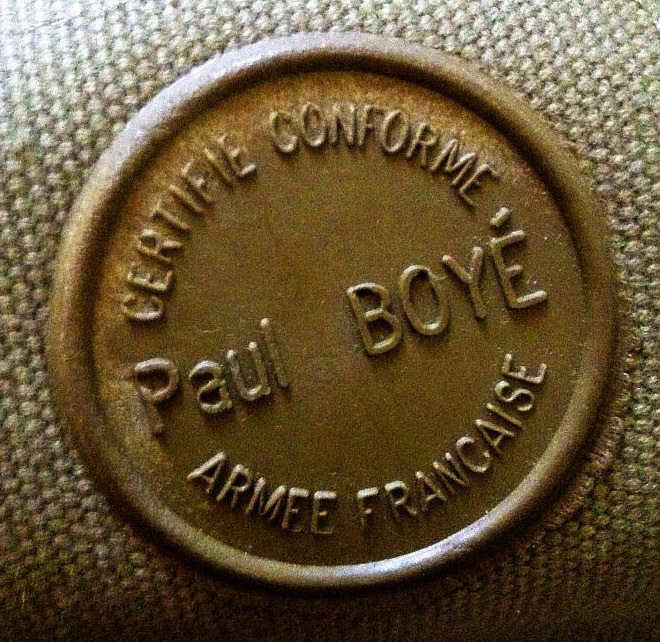 In 1947 Paul Boyé opened "Manufacture de Vetements Paul Boyé" with three factories in France, and 13 years later the company became the main uniform supplier of the French Army. 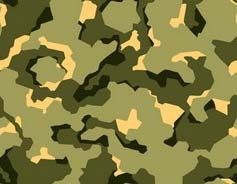 In 1976 the first big contract was signed to export uniforms to the U.A.E. Since 1978 launched the manufacture of CBRN suits in France, and in 2012 this French Company signed an exclusive contract with the Pentagon to manufacture Protective canvasing for the U.S. Armed Forces. 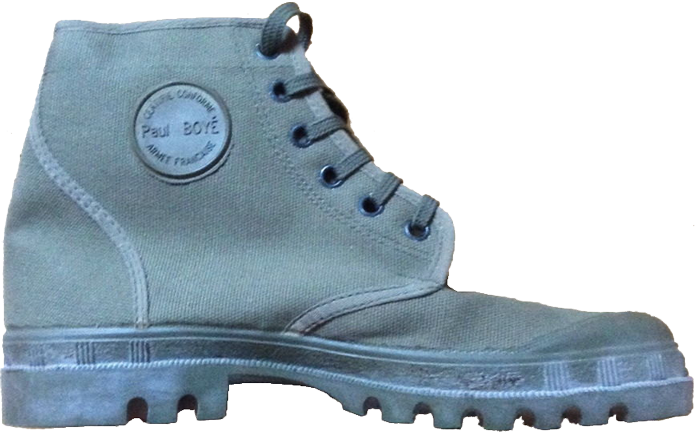 On the French-speaking web-forums, dedicated to various military boots, they also mention "Pataugas"-type canvas boots, produced, in particular, by "Bata". One of the passionmilitaria.com members, Gantheret, wrote the following: "La première paire de "pataugas" que j'ai percue fin 1947 ou 1948 au II/6° RIC était de marque "BATA" fabriquée en TCHECOSLOVAQUIE...", i.e. "the first pair of "Rataugas" I saw at the end of the year 1947 or 1948, in the colonial infantry regiment II/6° RIC (where RIC (fr.) stands for "régiment d'infanterie coloniale"). These boots were marked with the "BATA" logo, and they were made in CZECHOSLOVAKIA...". This info was supplemented by the forum member seb76: "Pour la marque Bata il ne s'agit pas de production communiste. La production Bata etant nationalisé en 45 une autre marque Bata coexistante avec la premiere est recrée par la famille Bata au Canada en 1946. En 1948 quand la Tchecoslovaquie devient communiste la marque Bata disparait devient "Svit". ", that means "The Communists did not manufacture the boots under the brand name "Bata", because the company's manufacturing facilities were nationalized in 1945. At the same time there there existed two "Bata" brands, and the second one arose after the Bata family departure to Canada in 1946. In 1948, Czechoslovakia became a Communist state so the "Bata" brand disappeared, and a new independent "Svit" brand was founded instead". seb 76: "Si il s'agit d'un reportage sur le coup de Prague en 48, a cette période la marque dépend de l'Etat Tchecoslovaque. En effet toutes les usines a l'est ont été nationalisées en 45. Mais il y avait d'autres sites de production a l'ouest dont Bataville. Les propriétaires ont donc conservé celle de l'ouest et sont partis au Canada. Même si la marque devient Canadienne, elle continue a produire en Europe de l'Ouest sur dans les usines existantes. ... mais il me parait plus logique que les Francais ont commandes des pataugas Bata (Canada) qui sont fabriquées en France, plutôt que des pataugas Bata fabriqués en Tchécoslovaquie entre 45 et 48, même si le gouvernement Tchèque a cette époque n'est pas encore communiste.."., i.e. "If to talk about the period of the power change in Prague in 1948, the "Bata" brand depended on the Czechoslovakian government. In fact, all the private-owned enterprises in the East were nationalized in 1945, but there were the other production sites in the West, for example, in Bataville. The owners, however, retained their production facilities in the West and moved to Canada. Even if the brand was owned by Canadians, the production process continued in West Europe at the existing factories .... it seems more logical that the French ordered "Rataugas" of the "Bata" brand from the Canadian owner, but the boots were made in France and not in the factories of Czechoslovakia, with its certainly communist government in 1945-1948...". This boots were produced by "Converse", which has done much for the development and promotion of light canvas boots with rubber out-soles. "Converse" is an American footwear company, which was founded on February 1908, in Malden, Massachusetts, by a 47-years old businessman, Marquis Mills Converse, under the original name "Converse Rubber boot Company". It's production output primarily consists of sportswear and "All Star" brand footwear, they sell other items globally through approximately 75 company-owned retail stores across the U.S. and over 160 countries of the world. The company started manufacturing of rubber and canvas boots several decades earlier than any other producer. In 1915 the company began manufacturing athletic boots for tennis, and in 1917 the "Converse" "All-Star" basketball boot was introduced. Next time the canvas-rubber boots became popular in the 1980s as casual footwear, but "Converse" eventually became over-dependent on its single "All Stars" brand, whose market collapsed by the years 1989-1990 when America faced economic depression and the market environment was getting more and more competitive. On January 22, 2001 the combination of circumstances, market share loss and unwise business decisions, forced Converse to file for bankruptcy. In July 2003 "Converse" was purchased by "Nike, Inc." for $309 million US dollars as a subsidiary company, having preserved the manufacturing of its products under the "One Star", "Jack Purcell" and "Chuck Taylor All Star" trade names. Now "Converse" sells its products in more than 160 countries of the world and through approximately 75 company-owned retail stores across the U.S.
During the war in Algeria, "Converse" boots were popular with Algerian FLN (Front de Libération Nationale), along with Chinese-made "Pataugas". These lightweight and practical boots were also popular with the French colonial forces for wear both in-garrison and off duty, as well as for boot camp-type activities. As opposed to any other footwear with hard out-sole, lightweight, comfortable and durable "Pataugas"- type boots made of canvas and rubber, allow one to feel much better the ground before putting full body weight on it. This makes such boots very suitable for sneaky going on rugged terrain. According to customer's feeling these boots are similar to modern day moccasin, however "Pataugas" do not stretch when wet.